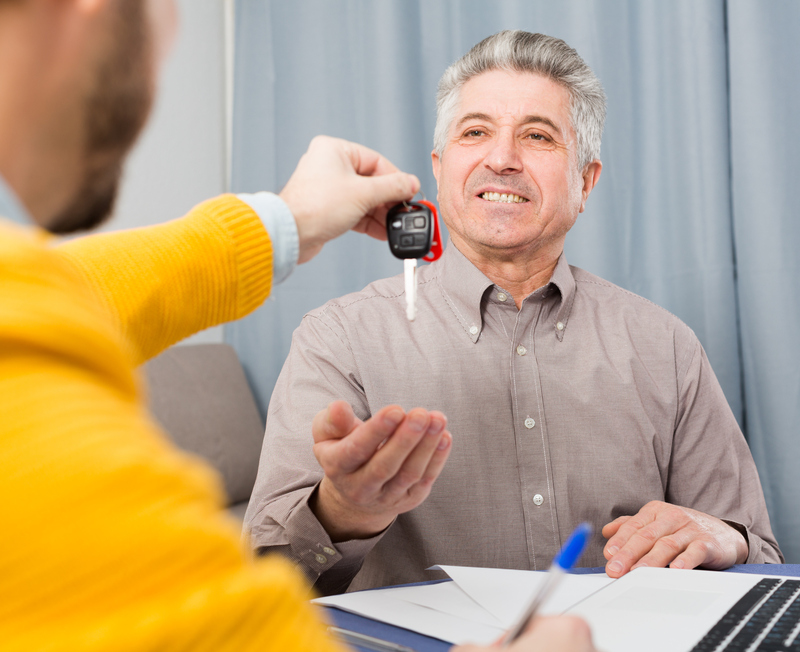 As lawmakers consider bills extending the amount of time consumers are guaranteed OEM parts, or at least guaranteed a formal opportunity to decide which parts they want, we’d draw their attention and that of repairer and insurers to the average vehicle loan and lease periods reported quarterly by Experian. For example, Rhode Island senators on May 15 voted in favor of an amended Senate Bill 2679, which changes the time barring an insurer from requiring “the use of aftermarket parts when negotiating repairs with any repairer unless the repairer has written consent from the vehicle owner to install aftermarket parts” from 30 months to 48 months from the date the car was made. It also extends these protections to third-party claimants and subjects all parts, not just traditional body parts, to the law. The unamended companion bill, House Bill 8013, contains similar language. It has been held for further study (a common occurrence in Rhode Island) by the House Corporations Committee since April 24. Ford connectivity and emerging services global director Mike Tinskey last week said in a TU-Automotive webinar his personal opinion was that consumers weren’t “fully aware” which parts were being used in their repair. “That, though, I do believe is changing rapidly,” Tinskey said. Ford polled customers online; some were given the option of parts, while the ones not aware were “quite disappointed” to learn the “standard practice” was not to use OEM parts, he said. The Rhode Island measure and others extending such durations would better protect some of the first- and third-party lessees who might have ended up unwittingly with a vehicle carrying aftermarket parts, thereby triggering a penalty upon vehicle return. 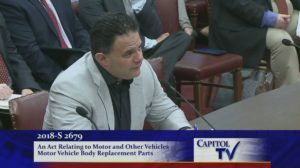 Randy Bottella, owner and operator of Reliable Collision, made this point in an April Senate Judiciary Committee hearing, stating that some policyholders have 36-month or longer leases, but the current law only applies to the first 30 months of a vehicle’s life. Experian on Thursday announced it found the average first-quarter 2018 new-car lease rose 0.32 months to 36.53 months. The number of consumers leasing vehicles fell slightly to 29.83 percent of all new cars, down from 31.06 percent in the first quarter of 2017. About 4.01 percent of the lease market involved used cars, a 0.29 percentage-point increase from the prior year. With the exception of “Deep Subprime” lessees (credit scores of 300-500), lease lengths grew across all credit quality groups. “Super Prime” (781-850) saw the longest time increase, 0.40 months, followed by “Subprime” (501-600) at 0.32 months. “Prime” (661-780) creditors grew leases by 0.28 months, and “Nonprime” (601-660) rose 0.24 months. Bottella also said in April that as the law is keyed to production date, a customer might already have “a number of their months chewed up” between the time the vehicle is built and the time it’s sold or leased to them by a dealership. Bumping the time period to 48 months would seem to give Experian’s average lessee a more than six-month cushion. Of course, if your lease is longer than the three-year average, you might be still out of luck. The law still wouldn’t protect typical new car owners — nor the company financing their loans — from getting parts they might not want during at least two of the years they still owe money on the car. Experian found the average loan term in the first quarter of 2018 to have risen half a month to 69.03 months, more than five years. Interestingly, it said the growth stemmed from “Prime” (credit score of 661-780) and “Super Prime” (781-850) customers, whose loan terms rose 0.51 months and 0.95 months, respectively. “Longer term loans continue to dominate the market,” Experian stated in a slide. While the proportion of 49- to 60-month and 85-96-month loans for new cars held steady at 17.6 percent and 1.3 percent of all loans, respectively, the proportion of 61-72-month loans rose nearly 3 percentage points to 41.3 percent. However, the percentage of 73-84-months fell 1.3 points to 33.6 percent. Used loans grew longer, increasing 0.39 months to 64.23 months, but seemed relatively steady by comparision. The largest increase involved a 0.5-percentage-point gain in used car loans spanning 61-72 months to 40.7 percent of all financed used cars. Consumers financed 85.3 percent of new vehicles, down 0.2 percentage points, and 54 percent of used cars, up 0.7 points, sold in the first quarter of 2018. The average loan payment for a new car rose $15 to $523, the average used car payment rose $9 to $372, and the average lease payment rose $26 to $436. Experian said new and used loan amounts reached record highs in the first quarter of 2017, with the average new car amount $31,455 — up $921 — and average used loan $19,536, up $410.